GUJCET 2019 Admit Card has been released on 16th April 2019. It is managed by Gujarat Secondary and Higher Secondary Education Board (GSHSEB). It is a state level examination. GUJCET (Gujarat Common Entrance Test) is organized to provide admission into engineering & technology (BE/B.Tech) and pharmacy (degree/diploma) courses. Through this exam, candidates can get admission to government, grant-in-aid & self-financed institutions located in the state of Gujarat. In this article, we have updated detailed information about GUJCET 2019 including application form, eligibility, exam dates, pattern, etc. GUJCET 2019 Admit card has been released on 16th April 2019. Check here for admit card details. GUJCET Exam Date has been revised. The exam will be conducted on 26th April 2019. Check here for exam dates. The authority has released admit card after form submission. GUJCET 2019 admit card is available in online mode. Candidates can download their admit card from 16th April 2019. It can be downloaded only after entering application form number or name. It is compulsory to carry GUJCET hall ticket 2019 in the examination hall. Candidates must read the instructions printed on it. If candidates found any discrepancy in it, they will inform officials. The GUJCET syllabus will be comprised of class 11th & 12th standard of GSEB board. It will contain topics & chapters from Physics, Chemistry, Mathematics & Biology subjects of 11th & 12th standard. Make a strategy & a timetable to give equal time to each subject. Solve last 4-5 years question papers & mock tests of the examination. Give equal time to revision. GUJCET is a state level entrance exam examination. It is conducted to offer admission into various engineering & pharmacy courses. 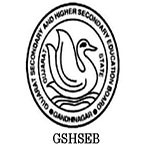 This exam is organized by the Gujarat Secondary and Higher Secondary Education Board (GSHSEB). Through this exam, candidates can get admission to the government & private institutions in the state of Gujarat. After a few days of examinations, candidates will get the official answer key on the website. GUJCET answer key 2019 may be released in the third week of May 2019. With the help of it, candidates must calculate their rough marks to qualify the examination. Along with answer key, the board also releases question papers separately for Gujarati-English & Hindi medium. Candidates will be able to check their results in the fourth week of May 2019. The result will be declared through online mode on the website. Candidates will view GUJCET 2019 result by entering their application number. The merit list will be prepared based on 60% weightage of percentile marks secured in the theory exam of class 12th & 40% weightage of percentile marks get in GUJCET exam. The counselling will be organized by Admission Committee for Professional Courses (ACPC), Gujarat. It will be conducted in online mode. Before appearing in the counselling, successful candidates will have to get Information booklet and PIN from any of the designated branches of Kotak Mahindra Bank. At the time of counselling, candidates have to select choices of courses & colleges as per their preferences. But first, candidates have to register for counselling. The seat will be allotted to the candidates on the basis of filled choices, cut off, merit, reservation, etc. Candidates can get application only through online mode on the official website. GUJCET Registration 2019 has been started from 25th January 2019 till 16th February 2019. Candidates should also note down the application form number for future references. The application fee for GUJCET 2019 is Rs. 300. Candidates can pay the fee through SBI E pay system (credit card/debit card/internet banking). Candidates can also pay it through SBI Branch Payment in SBI branch. If you have any other query about GUJCET 2019, you can ask us by leaving your comments in the comment box. What is HSC seat number and centre code in GUJCET form? Is there quota for kashmiri migrants in gucet in bsc agriculture or biotechnology. Can a student of uttarpradesh get addmission in this institute ? I missed to fill the form of guicet. Will the date comes again to fill…? My ETP exam of CBSC course is on 4th April and on the same day GujCET is also scheduled. Main Kanpur U.P. Se Hu To Kya Main Gujcet 2019 Ke Liye Apply Kar Sakta Hu. Sir, I am a student from Jharkhand and am wanting to appear for gujcet . But, we will be having our physical education CBSE class 12th exam on the same day. So, will the date of the exam be altered? Else can I get an email of the organisation where we can send a request mail. Sir. I am belong from bihar and i clear 12th from bihar board . I want to take addmission in b.pharma in any gujrat government college . can fill the gujcet form or not? suggert me yes or not and from any other source to take addmi.,. Sir maine 2017 mrin 12th clear kiya hain…tab syllabus 3 and 4 th sem ka tha, ab humare liye wahi syllabus hoga? The syllabus will be as per official latest syllabus. It will be released later on. I was born in Gujarat. My mom has spent 25 yrs in Gujarat. I have studied for four years in Ahmedabad & am appearing for 12th from Mumbai (CBSE). Is for the admission in Gujarat state engineering college in 2019, Gujcet marks will be considered or JEE score alongwith board marks? Whether gujcet is necessary for other courses except engineering & pharmacy? Whether it is necessary for medical student? Not necessary for other courses. Can apply candidate other state? Sir. Gujcet ka exam centre only gujarat hoga ya other state bhi like bihar jharkhand. Is it necessary to give GUJSET for B group students for MBBS Admission in Gujarat? The decision is not been made now. Ye sirf gujrat state walo ke liye hi kya?? Other states ke students ye exam de sakte he ya nhi? Other state students can also apply. Can CBSE students appear in GUJCET? For getting admission in government engineering college in gujarat only gujcet and board examinations are necessary?? Sir 2019 me agriculture me admission neet par milega? Respected sir please tell me the basis of admision in agriculture neet or gujcet for state quata in may, 2019. Yes. 85% seats will be available for state candidates. Sir, some people are taking that gseb will not conduct GUJCET in 2019. Any details regarding this has not been released yet. hello sir, mene 2010 ko 12th science math se pass kiya he.kya me 2019 ko gujcet ki exam de sakta hu? Check eligibility for this exam. Respected sir please tell me the basis of admission in engineering is JEE or Gujcet for state quata in May, 2019. On the basis of GUJCET. Can i give gujcet exam again ? I recently passed 12th and gujcet exam also but i want to give gujcet exam again in 2019. So is it possible? Please ans. You can get it from your state medical authority.